Last year after a speaking engagement in a Seattle suburb, a woman asked me somewhat sheepishly, “Don’t you think this sort of thing just puts women back into a traditional role in the kitchen?” It took a minute for me to understand what she asking, and when it did finally click, I could not talk fast enough or emphatically enough to tell her that she was dead wrong to assume that I was trying to send women back to the kitchen — by themselves! I want women AND men back in the kitchen AND in the garden AND tending their backyard chickens AND doing whatever else they can do to live a healthier life that will save them money and is better for the planet. This is much too important a job to relegate to a single gender. Everyone needs to pay more attention to what we’re eating and how our food is grown. Why do some people think that women are supposed to do all the cooking and yet many of our most famous chefs are men? There is no reason to automatically assume that women are doing all of the work in the house while men do everything outside. When our daughters were at home, there was nothing off-limits to them as far as work. 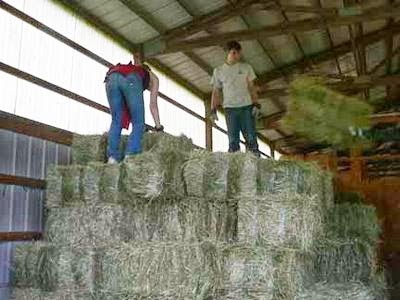 They helped to bring in hay from the fields with their father and brother, doing exactly the same heavy lifting and climbing up on stacks of hay. They helped catch animals, often diving to the ground to grab one as it ran past them. They carried 40-pound water buckets and 50-pound bags of animal feed. And our son shared cooking duties equally with his sisters. He also knows how to can fruits and vegetables from the garden, and he can make homemade yogurt and several types of cheese — actually more types of cheese than his sisters. 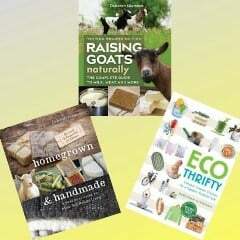 I think our homesteading lifestyle was what led our daughters to pursue non-traditional careers. Our oldest is an electrical engineer now, and our youngest will be graduating with a degree in chemistry this spring and has already been accepted into a PhD program. Chemistry and engineering are both dominated strongly by men, yet our daughters feel absolutely confident about their career goals. Our youngest daughter totally credits her life on the farm for giving her a love of science. In her graduate school application essays, she even mentioned her carrion beetle experiments when growing up and her experience doing necropsies on animals that died on our farm, as well as our experience with dewormer resistance in goats and how that sparked her interest in studying antibiotic resistance in her graduate studies and professionally. There are many single, divorced, and widowed women who are homesteading by themselves. I’ve met a lot of them over the years as they buy goats from me or attend workshops that I present. They build their own hay racks and goat houses. 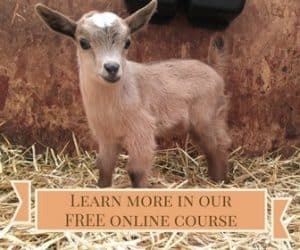 They castrate and disbud their baby goats. They process the wool from their sheep. They butcher their own chickens. Some of the strongest and most independent women I’ve ever met are solo homesteaders.They amaze me with their strength and vision. I often say that we live on an old-fashioned farm, but maybe it’s time I dropped that moniker. Although we do have a diversified farm where the animals lived very much like they did a century ago, what the people are doing is not always old-fashioned. Interesting comment by your Seattle woman. I considered myself a strong feminist for decades (an obnoxious one) then married a conservative guy who after 20 years of marriage is the more liberal one of the two of us. At 54 I define myself more as "farmer" or "writer" . Too busy doing all that must be done on our farm (like you) to even worry about labels or chore assignments. We both do what needs to be done. Period. As I am reading your post, my mom could have written it. You're spot on, and this is how I was raised. Everyone pulled their own weight, we all tried to grow what food we could, canning and preserving when possible for the winters ahead etc. Farm life is a very different lifestyle to some people. 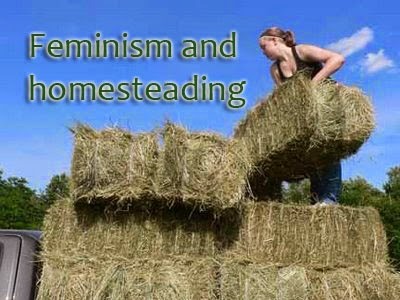 Some can just not comprehend it, nor can they understand that by saying only the kitchen chores are for girls or the barn chores are for the boys, that it weakens the strength of "the net" necessary for a well functioning homestead. Homesteads & farms in general require a lot more work than most other lifestyles. Without a network of people willing to chip in and help when someone else is hurt, sick, has appointments or whatever, the animals and/or crops suffer.